Today I'm sharing an altered frame made for the lovely Katy at MixedUp Magazine and happy that it is featured in the December Issue which can be obtained here. There are lots of amazing projects from incredibly talented artists so I feel very proud to have mine there alongside this amazing line up. ....... I had fun creating this shabby grungy project. There is a step by step with photos in the magazine if you want to see how I achieved the effects. Thanks for stopping by and have a wonderful weekend - hopefully not too busy in the run up to Christmas. Such adorable effects - absoultely gorgeous! Another wonderful masterly project Brenda! I was drooling over this when I saw it in the magazine originally, absolutely stunning creation yet again Brenda....how do you keep doing it?! Fantastic techniques and textures. Its an awesome project. Stunning weathered distressing on the frame, and a subtle watery look to the background - it looks like it's been washed ashore from a foundering ship - fantastic! very cool effects Brenda! Love the drippage!! 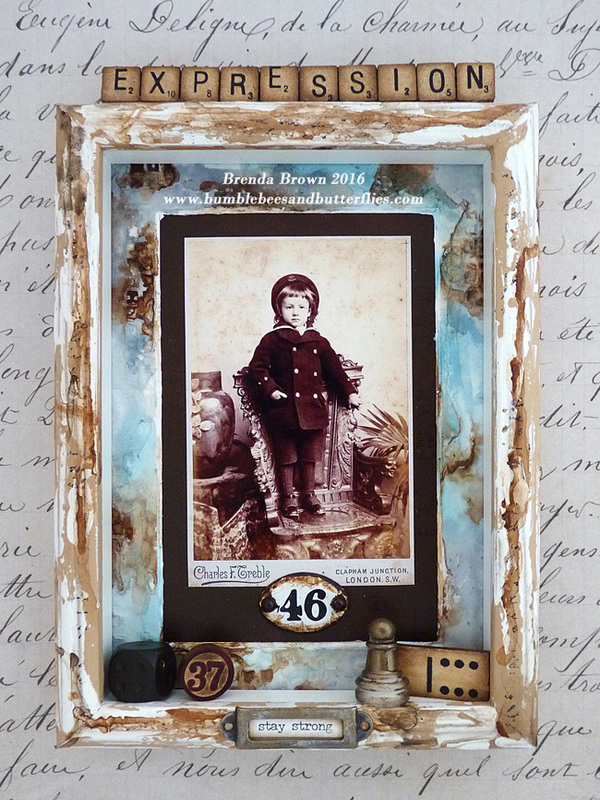 Wow Brenda, your paint effect on your frame is stunning and I love the design to nest the cabinet card into. Love your style Brenda and this piece is not different! it's stunning! Love so much the frame and the background is stunning! As always a piece of art! barbara! Gorgeous!!!! Brenda, you never cease to amaze me! 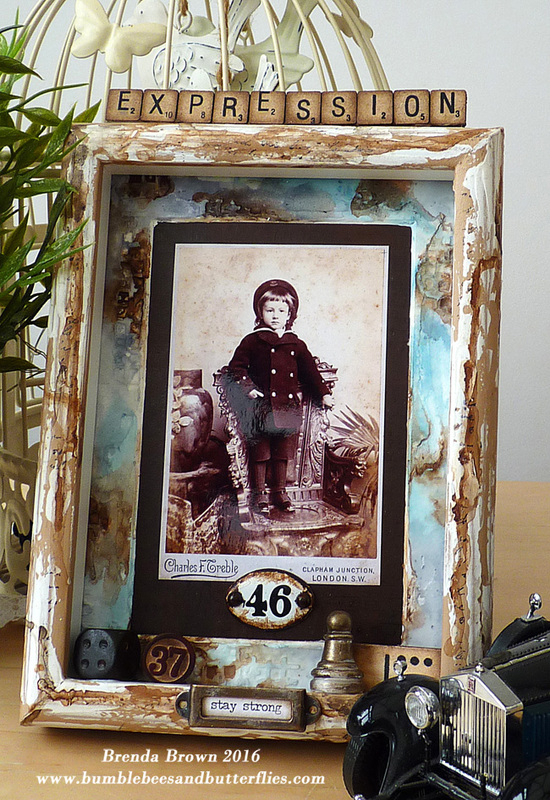 Fantastic effects on this stunning shabby frame Brenda!! Love it and that cabinet card is just adorable! Well done on getting into the mag. again! Fantastic. 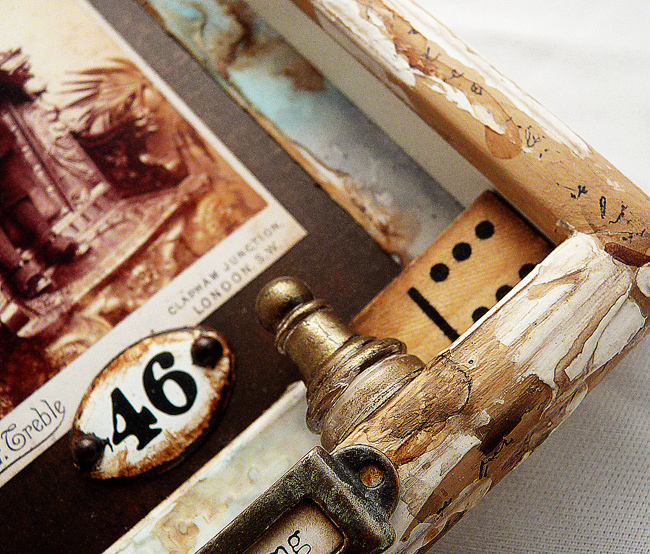 The aged texture on the frame with the wonderful bits and pieces set inside the ledge are wonderful.